Art After Hours @ East End Gallery will be held Saturday, April 6, 12-6 pm instead of this Friday evening. Shades is having a Seafood Boil Benefit so we thought we would join in the fun. See you then! 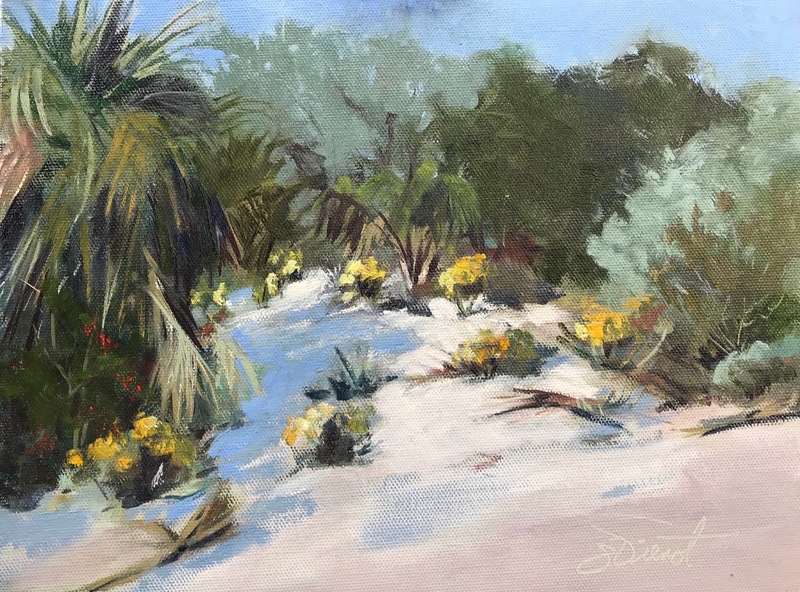 Santa Rosa Beach artist Joan Vienot has been awarded the prestigious honors of Ambassador and Artist-In-Residence for the Forgotten Coast en Plein Air, America’s Great Paint-Out in Apalachicola May 3-12, 2019. Plein air characterizes the activity of painting outdoors in open air, capturing scenes with natural lighting. Artistic excellence and the production of investment quality art is the trademark of this 10-day festival with Vienot selected as one of the four Ambassador artists for this year. The event will focus on the natural environment as the area communities recover from the impact of Hurricane Michael. As part of the Artist-in-Residence program, Vienot is being housed in Cape San Blas for a week to observe, learn, and paint scenes relating to the event theme focusing on the natural environment as it recovers from the effects of the recent hurricane. Vienot also is looking at mitigation efforts including the installation of living shorelines, planting sea oats, and restoration of longleaf pine forests. 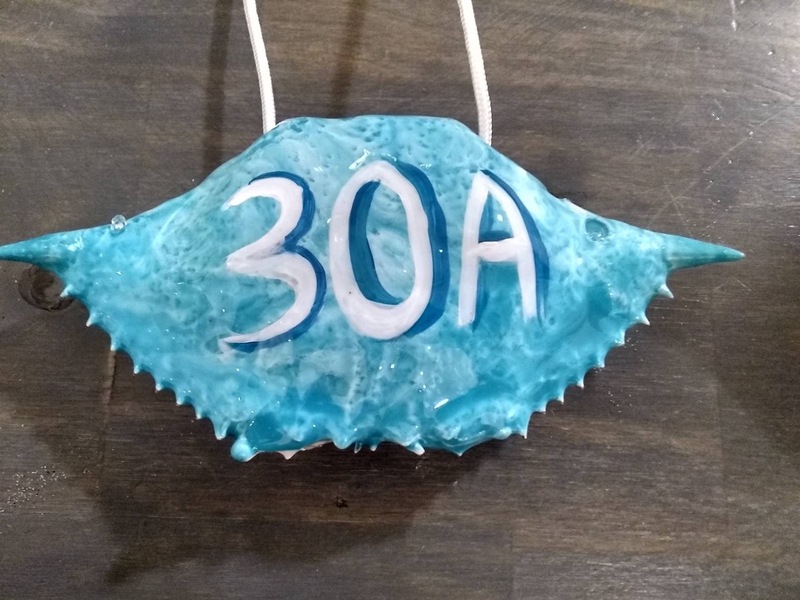 She will be taking a walking tour of St. Vincent National Wildlife Refuge, and attending two workshops at the Apalachicola National Estuarine Research Reserve. She will give a presentation and exhibit her residency paintings at the Paint-Out in May. 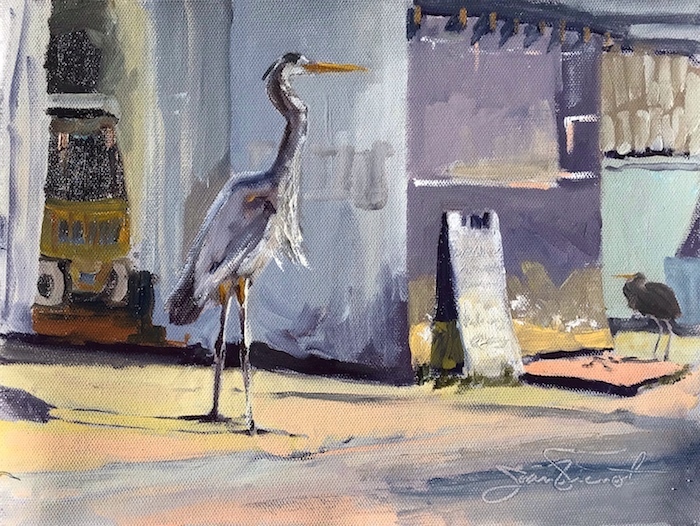 An avid paddleboarder and nature photographer, artist Joan Vienot often returns to scenic areas, palette in hand, capturing a scene on canvas en plein air. 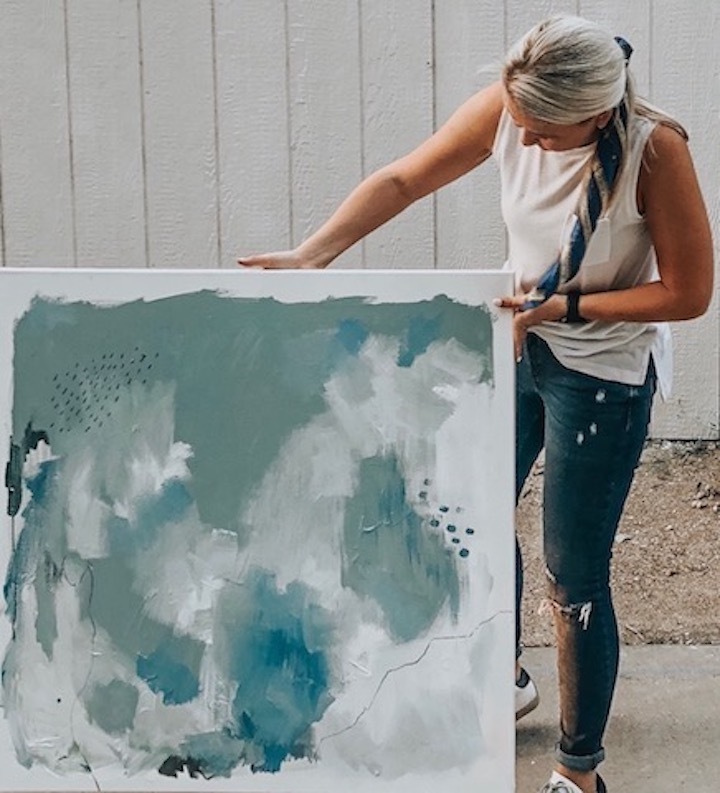 Born and raised in Colorado, Joan received her Bachelor of Arts degree from the University of Northern Colorado with majors in fine art and in health, physical education, and recreation. 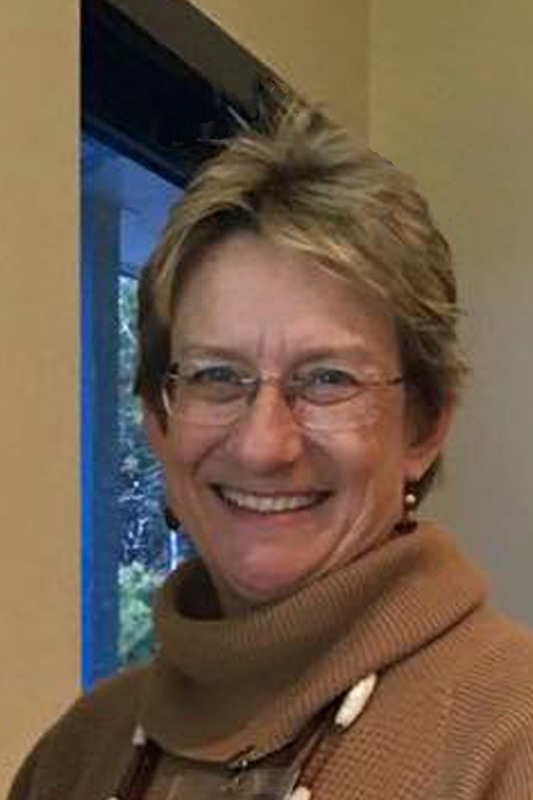 Vienot taught art and coached girls sports in the public high school in her hometown before moving to Seagrove Beach in Northwest Florida in 1980, where she developed and managed a pool service business for the next 35 years. Since selling her business, Vienot now is pursuing her art career fulltime. Her art can be seen by appointment at her studio in Point Washington in Santa Rosa Beach, Florida. 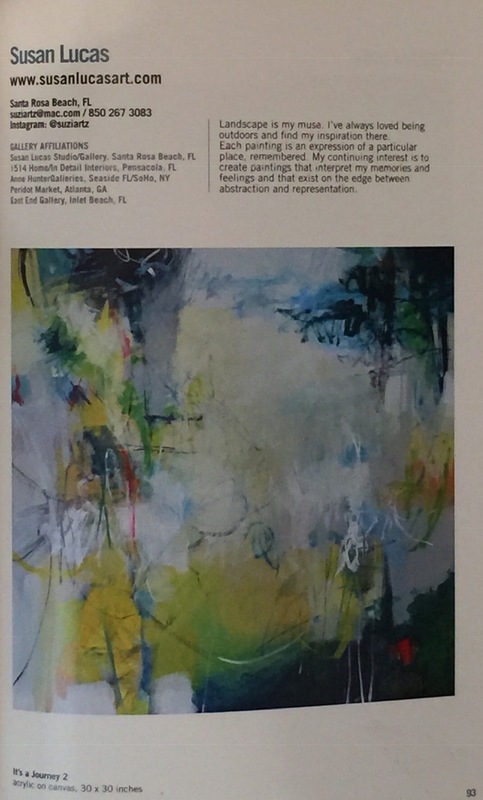 Selected works are at Bohlert-Massey Interiors in Panama City Beach, and at East End Gallery in Inlet Beach. 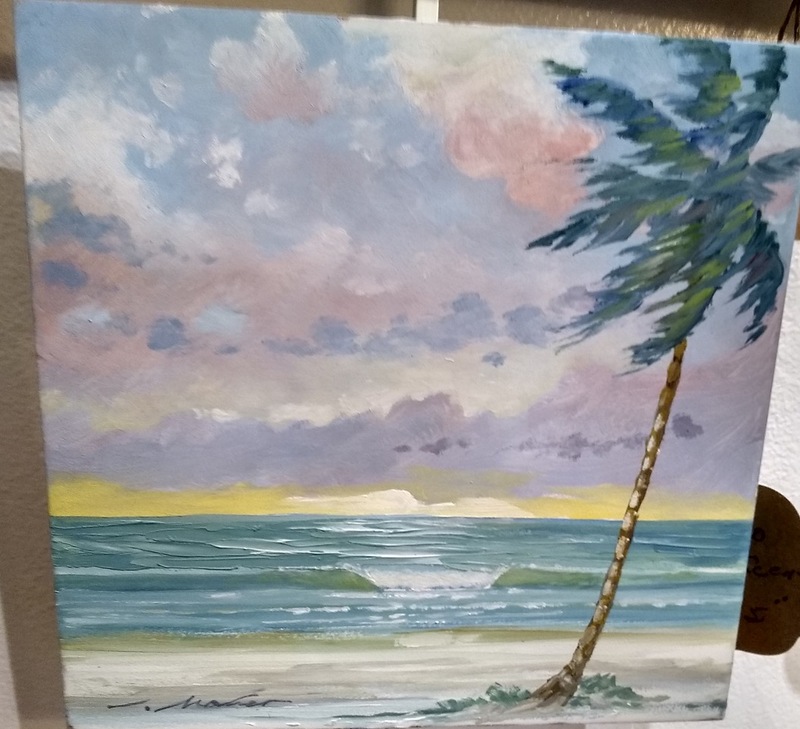 She blogs and posts her work online athttps://www.joanvienot.com and on Facebook at Joan Vienot Art and Instagram @JoanVienotArt. Hula on over this Friday at Big Mama’s Hula Girl Gallery at 303 E Ruskin Place in Seaside from 4-7. Entertainment by JB Dyess will be provided in the park too. It will be a fun evening for all ages. 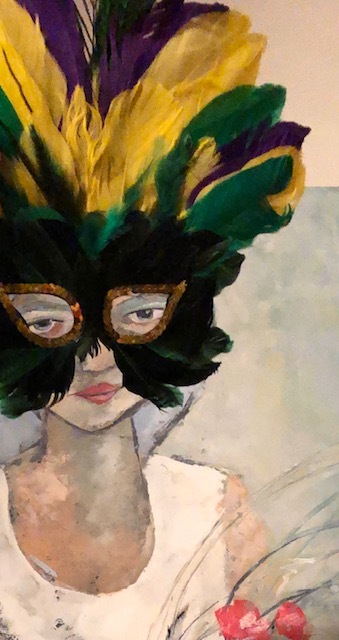 Mardi Gras Art After Hours Friday, 4-7 p.m.
Unmask your love of art, food and fun, and parade around the gallery as we celebrate Mardi Gras at East End Gallery this Friday for our monthly Art After Hours. Jambalaya, Cajun Corn and Kale Salad, and King Cake Cookies will surely delight. 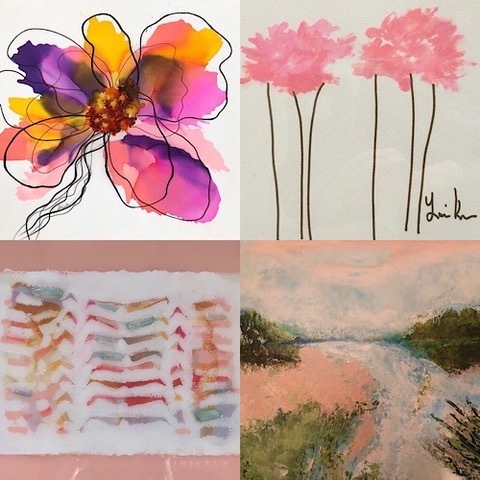 Collect some beads and be festive as we celebrate the Fresh Start collection of works by 24 regional and local artists, hand selected by interior designers Carolyn Simmons, Julie Liebetreu and Melissa Denton. 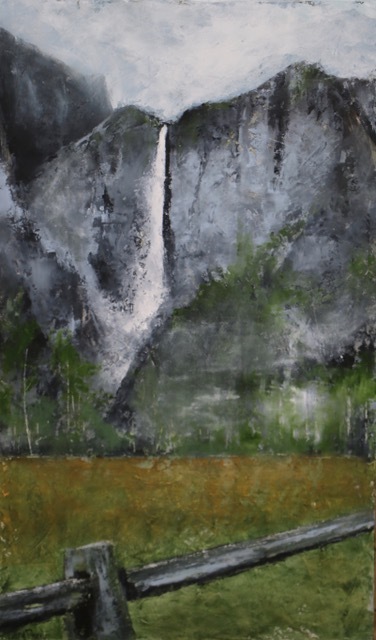 Mixed media artist Lori Drew invites you to take “A Walk In The Park” as her solo show opens at the Coastal Branch library Friday, March 1, featuring all new impressions of the natural beauty of our National Parks. 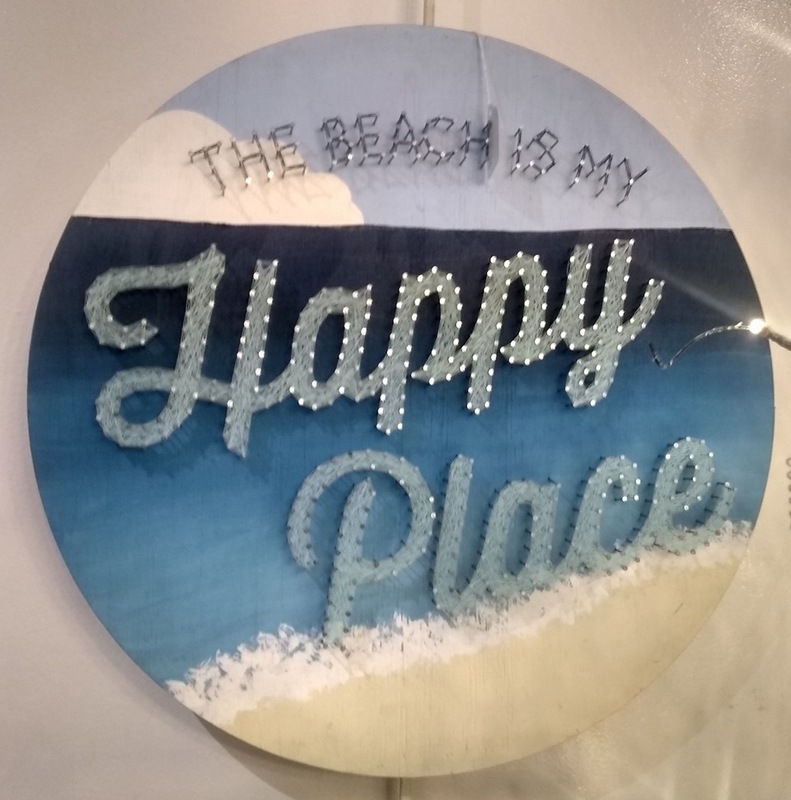 Drew, 2017 South Walton Mixed Media Artist of the Year, said she wanted a new challenge for this exhibit. “We’ve been hiking national parks each summer for 10 years, and I have beautiful photographs to use for inspiration. It felt like a good time to challenge myself with new palettes and a more diverse view of nature’s beauty,” she explained. 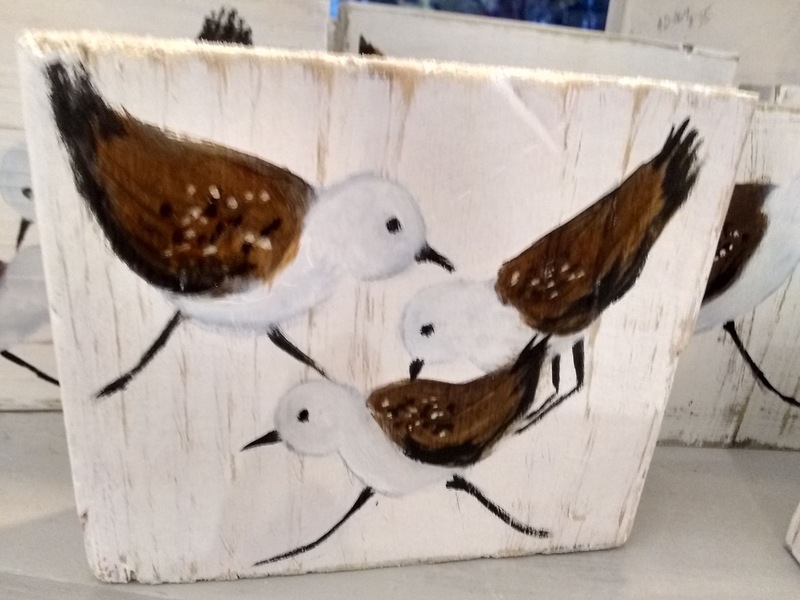 The oil and cold wax artist is known for her peaceful representations of the Emerald Coast and its shorebirds. She steps out into a whole new creative world with this new collection, never before exhibited. Viewers will enjoy her impressions of Yellowstone, The Grand Tetons, Acadia, the Rockies, Olympic, the Everglades and more. She promised to include several works from our local state parks. Drew further explained, “Like my paintings of our amazing beaches and coastal dune lakes, these works are not representational, but rather my impressions of the landscapes — both up close and from a distance.” Mountains, waterfalls, wildlife, geothermal formations, swamps and rain forests, sand dunes and paths in the wilderness create a sense of peace for the artist, and her intent is to share that serenity with everyone. More information about Lori Drew can be found on her website,www.loridrew.net. 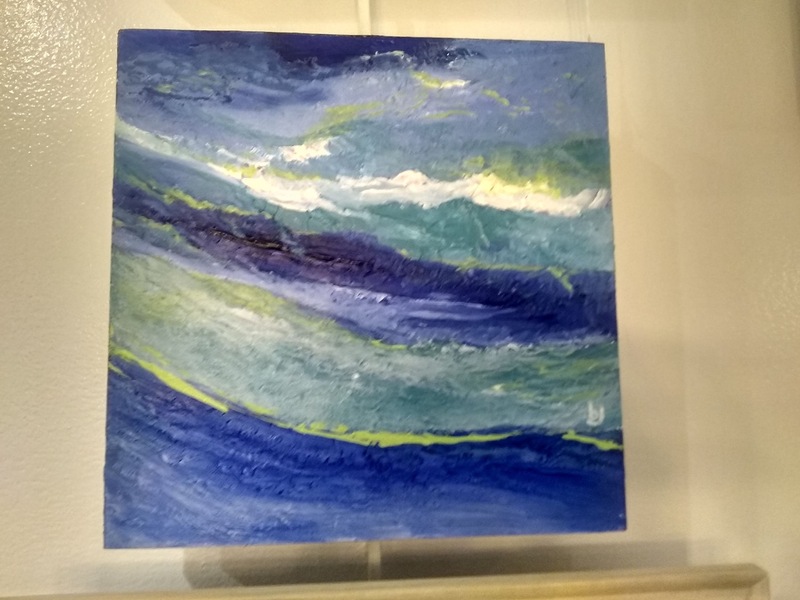 Her studio/gallery is located in Point Washington, and other works are available at East End Gallery in Inlet Beach and at The Front House Gallery at Emerald Coast Theatre Company. 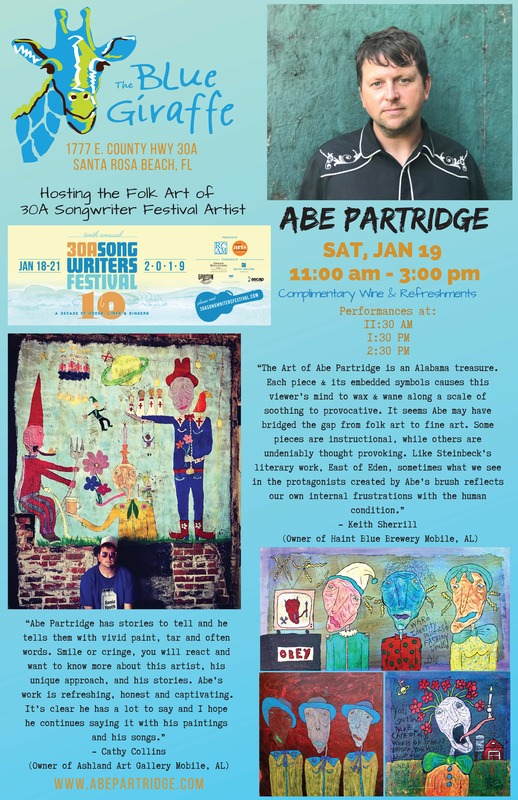 Come sip and shop at our very unique art gallery in Ruskin Park Seaside. Big Mama’s Hula Girl Gallery will Be serving bubbles and wine from 4-6. We have art from 25 local artists. Susan Lucas has had work selected to be included in volume 41 of the book, Studio Visit. Studio Visit is a series of juried artist books published by Art Studios Press, featuring work selected by professional curators and museum personnel. The books are available in bookstores. Susan’s recent work can be seen at East End Gallery, the Emerald Coast Theater, and by appointment at her studio/gallery. 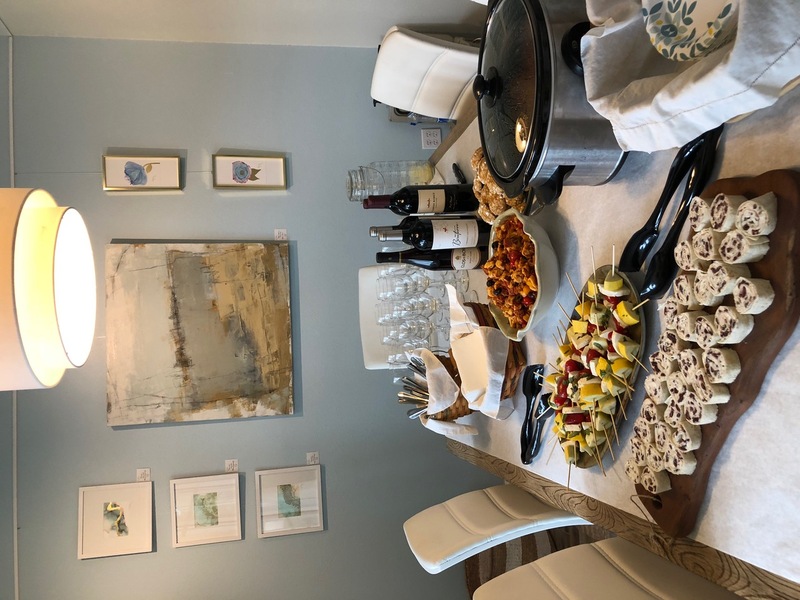 Good food and great art are yours to enjoy Friday, Jan. 4 at another Art After Hours at East End Gallery, located in Suite B, next to Shades Bar & Grill in Inlet Beach, 4-7 p.m. The evening’s lite bite menu includes gumbo, mini muffulettas, cajun deviled eggs, fiesta dip and chips, and of course homemade cookies. This will be our final event for the Moments & Memories exhibit. Select artwork at discounted pricing.